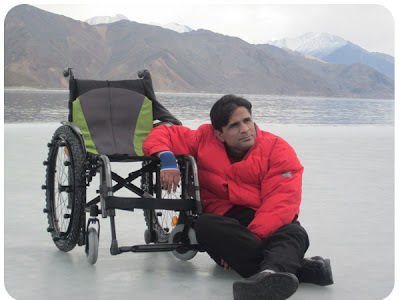 Navin Gulia (39), from Delhi with 100% medical disability is one of the national role models and inspiration for young and old. He has converted every challenge into an opportunity to showcase his talents. 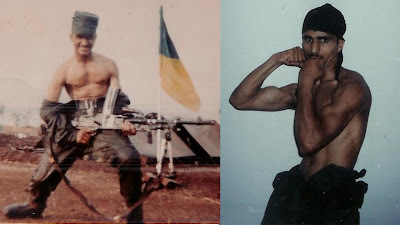 Hailing from a family of army officers, right from his childhood, he nurtured the idea of joining Indian Army as a ‘Commando’. It is the most challenging and risky job in the Army. Right from his early days, he was mentally preparing himself to face and overcome any challenges. He underwent four years of rigorous training in National Defence Academy and Indian Military Academy. 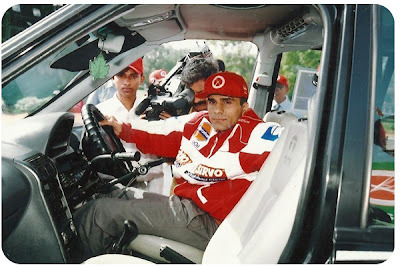 In April 1995, on the final day of OT competition, as Captain of his company ‘Sangro’ took off from the starting line, within seconds he crossed the 8 feet ditch, the zig-zag balance and ran up the steps of high ramp. As he reached the top he got an accidental push from behind, due to which he fell head down at high speed. This injured his spine paralysing his whole body and medical science declared him permanently 100% disabled. After two years of hospitalization, he took on the wheel chair. Since he was mentally prepared to take on the challenges, he started facing the new situation. Sitting on the wheel chair, he completed PG Course in Computer Management. He started teaching Computer science in various Institutions and is now running a coaching centre at Gurgaon. The 100% medical disability did not deter him from his ambition. He focused on Adventure sports. In September 2004 he made a Limca world record by being the first and only person to drive non-stop from Delhi to Marsimikla 18,632 feet, the highest motorable pass in the world in 55 hours without sleep or break. This place is 50 feet higher than the base camp of Mt Everest. This record is not yet broken by anybody till date. Navin is highly interested into adventure sports and driving of car. He has designed controls in the car to suit his needs. With the great difficulty, he has also got the license from the authorities. Besides, Navin has practised flying a microlite aircraft. 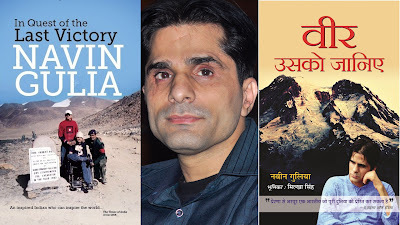 He has written two books based on his experience. He has started an organization to support the disabled children. As 100% disabled person, he does not want to be dependent on others. In fact, he is supporting his family members and all others. He has won several awards for his achievements, including the President of India Award in 2006 as a ‘National Role model’. He has also authored two books, sharing his experience. He does not like anybody describing his success as ‘despite the difficulties’. He attributes all his success and achievements only ‘because of the difficulties’. Please listen to his inspiring interview exclusively for our ezine in the following link.